It's hard to believe the I-405 express toll lanes have already been in operation for two years. Twenty-five million trips have been taken on the express toll lanes since they opened to the public on Sept. 27, 2015. Drivers who decide to skip traffic and use the express toll lanes pay an average toll of about $3 and save 11-14 minutes, getting a faster, more predictable trip. People traveling on I-405 like having a choice to get out of traffic faster. Before the express toll lanes, the HOV lanes were often as congested as the regular lanes, offering little benefit to carpools and transit. Data shows that the express toll lanes maintain faster speeds during peak times and move more vehicles than the old HOV lanes. For example, a trip between downtown Bellevue and Lynnwood that should have taken 16 minutes in the old HOV lanes used to take 27 minutes on average and 39 minutes on an especially bad day. Today, the same trip takes 16-19 minutes on average. That's a significant time savings for people who drive the corridor. We're seeing these positive trends despite the huge growth our region continues to experience. These days, a new driver moves here every 6 minutes! I-405 carries almost 20,000 more vehicles a day in some places than two years ago. Lined up bumper-to-bumper, those cars would stretch 65 miles from Bellevue to Olympia. Luckily, the express toll lanes were designed to move higher volumes than regular lanes and keep traffic flowing when congestion is at its worst. For people driving in the regular lanes, their average speeds have either remained the same or improved. We recognize that I-405 still has significant traffic congestion, and we have many projects to build through our long-term Master Plan. Every time a driver pays a toll, they are investing in improving the corridor. More than 17 million express toll lane trips were taken by toll-paying vehicles, generating $38.6 million in revenue. 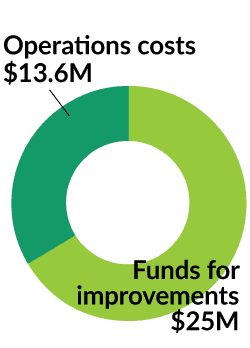 We need about a third of the revenue for operations and maintenance. The remaining two-thirds, about $25 million, must be used to fund improvements to I-405. In April, we used some of this money to add a new peak-use shoulder lane from Canyon Park to Lynnwood to speed things up during the afternoon rush hour. We are committed to making the lanes even more efficient to help manage congestion as our region grows. As of the end of June, which was our last official reporting period, when looking at the average in both directions, the express toll lanes offered speeds of 45 mph or faster 81 percent of the peak period. That's significantly higher than the performance of the previous HOV lanes which moved cars at that speed only 62 percent of the time. While we're not yet meeting the goal the Legislature set of 45 mph or more 90 percent of the time during peak periods, the lanes' northbound performance has improved a great deal since the opening of the peak-use shoulder lane. During the four months between the opening of the peak-use shoulder lane and the end of August, the express toll lanes met the 45 mph standard 86 percent of the time. Overall, most of the corridor is meeting the Legislature's goal, with the exception being the southbound single-lane section between I-5 and SR 522, due to the heavy demand from drivers in the morning commute, which is pulling down the overall average. We are continuing to look at new ways to lessen the amount of time people spend in traffic on the corridor. The Legislature provided additional funding to continue studying how we can add capacity in the northern portion of the corridor, and we are exploring how we can provide improvements in that area. We're also moving forward with much-needed improvements between Bellevue and Renton, which were funded by the Legislature in the 2015 Connecting Washington package. Next spring the Diablo Gate will swing open and cars will make their first trips across the SR 20 North Cascades Highway after the yearly winter closure. Engines will rev, horns will honk, thanks will be given to our hard-working maintenance crews. We were all heartbroken to learn that Tootsie Clark – known to many as the cinnamon roll lady – passed away this past weekend at 95. 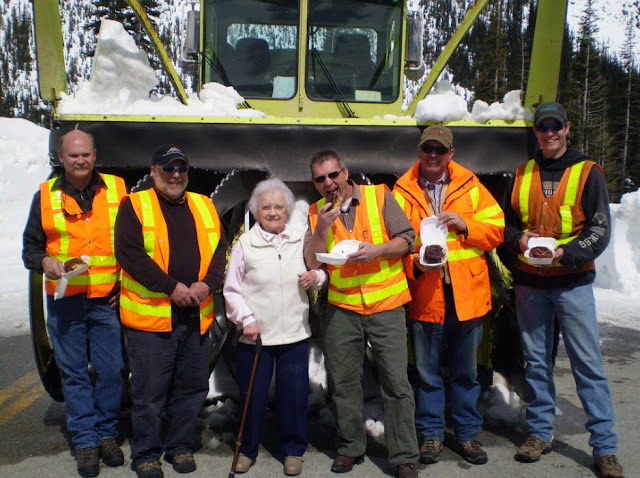 While she was never a WSDOT employee, she was every bit a part of our team. North Cascades Highway opening. This was in 2012. "She was my first sighting of every spring," said Don Becker, one of our maintenance supervisors in charge of getting the highway open every year. "I will surely miss Tootsie." at the 2010 SR 20 North Cascades Highway opening. Tootsie had been making the trek up to the SR 20 gate opening since the early 1970s. She'd arrive early to be first in line and would hand out coffee and, yes, her famous cinnamon rolls, to those waiting in line as well as our crews opening the gate. And oh boy, were they delicious. 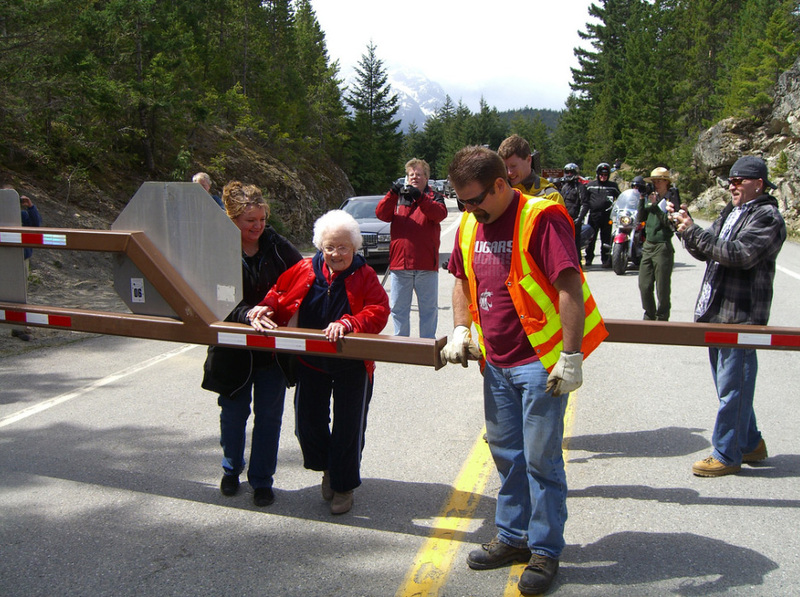 In 2006, Tootsie took on an even bigger role, actually helping us push the gate open to mark the opening of the pass. Her granddaughter told us how exciting that was for Tootsie. She'd then lead the procession of smiling, waving drivers through. That's where she was this past May when she pushed the gate open for the last time. The North Cascades Highway is still open for people to enjoy. But soon the winter snow will move in and around Thanksgiving, as we do every year, the gates will close for the season. Then as spring begins to poke through, our crews will begin the tough task of clearing the snow and repairing the road, getting it ready to open. 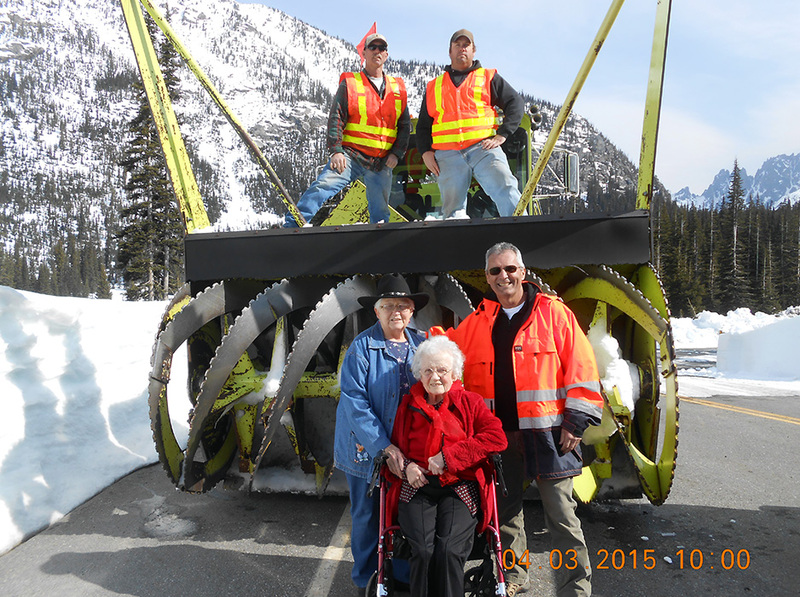 our other crew members at the 2015 North Cascades Highway opening. It was always a fun, exciting time to get to the gate opening and see a crowd surrounding Tootsie, enjoying her cinnamon rolls and thanking her for, well, just being her. She was an indelible part of the North Cascades Highway reopening and we'll miss her terribly. Thanks for the memories, Tootsie. We'll never forget you. The weather’s cooling down, leaves are turning colors and you’ve probably started smelling pumpkin spice at your local coffee joint. Fall has arrived and change is in the air. ….and on the water as well. 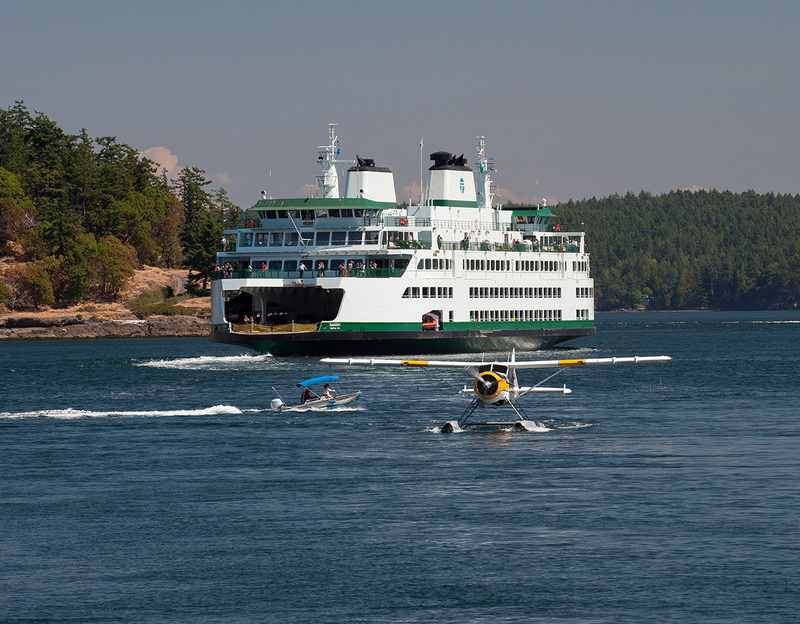 A new ferry sailing schedule and adjusted fares start Sunday, Oct. 1. With less sunshine and cooler temperatures, fewer people are taking recreational trips. Because of changing demand, we do some minor tweaks to our ferry sailing schedule this time of year. Our fall sailing schedule is available online and runs through Jan. 6, 2018. Beginning in October, the Anacortes/San Juan Islands/Sidney, B.C. route will be on a four-boat schedule instead of five. There will also be fewer weekend sailings on the Fauntleroy/Vashon/Southworth and Mukilteo/Clinton routes. The Port Townsend/Coupeville route will have one vessel instead of two, through spring. Fall is here and with it comes changes to both our ferry schedules and fares. Passengers can expect to pay between 5 to 15 cents more per ride on most routes (40 cents more per ride on the Anacortes/Sidney, B.C. route) and an increase in standard sized vehicle base fares between 15 to 55 cents more per ride on most routes ($1.55 more for people driving a vehicle onboard the Anacortes/Sidney, B.C. route). 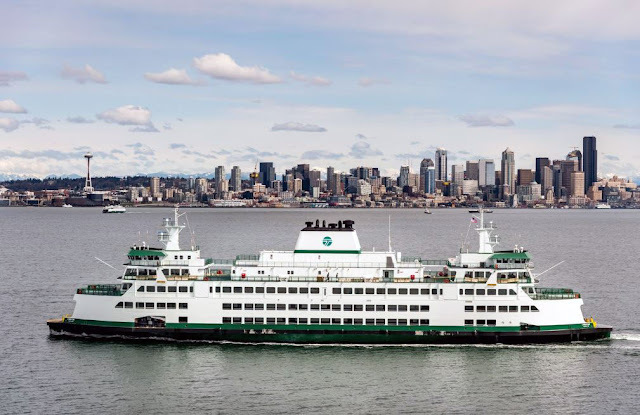 The Washington State Transportation Commission set new ferry fares in July. But here’s where it gets a little tricky. …some of you will be paying less, because the last day of our peak season surcharge is Sept. 30. The peak season surcharge has been in place for customers with a vehicle since the 1970s for congestion management. In addition, drivers of vehicles under 14 feet in length may be asked to provide written or electronic documentation of their vehicle length to staff in the tollbooth. Bicycles towing kayaks or canoes will now pay the motorcycle/driver fare. The WSTC made that decision following public input to lower fare proposed increases for walk-on passengers and most bicyclists. So how much will you be paying come Oct. 1? Use our calendar feature to calculate your new fare – and to count down the days till the start of winter! 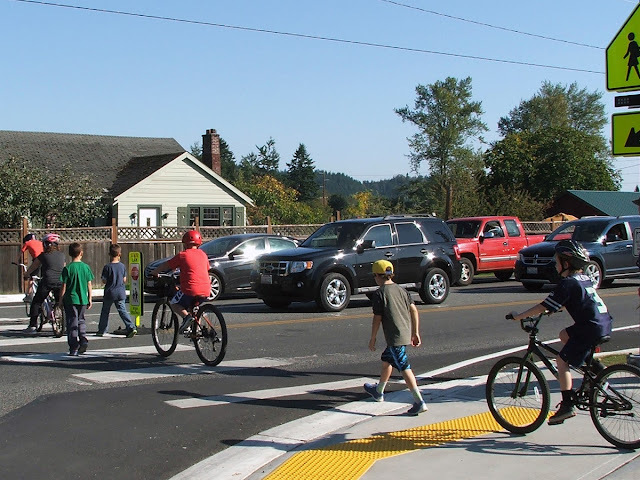 With classes back in session, you're probably seeing an increase in foot, bicycle and vehicle traffic around your neighborhood school. Each day, 1.1 million students in Washington travel to and from school, using three main modes of travel: school bus, private vehicle and active transportation (better known as walking and biking). Wednesday, Oct. 4, is International Walk to School Day, which means a large number of students will be sharing the roadways. Where there are safe walk routes we're encouraging parents who normally drive their child to school to consider letting them walk. It's a great way for kids to get some exercise and it reduces congestion and vehicle emissions around schools. Increasing the number of students who safely walk or bike to school is a top goal of our Safe Routes to School Program. Walk to School day is Oct. 4 so encourage your kids to give it a try, and be aware of extra children on the roads. We're also asking people who drive to be on the lookout for students as they cross roadways, especially as the days get shorter and darker. Remember, any intersection is a legal crosswalk, marked or unmarked, and it's the law to stop for a person waiting to cross. Walk to School Day is a day for students, families and community partners to celebrate and call attention to the benefits of walking to school. Increased physical activity, like walking, can help prevent obesity and is associated with reducing chronic diseases. In Washington, about 42 percent of 6th grade students don't get the recommended 60 minutes of physical activity on five or more days a week, and about 12 percent of Washington's 10th graders are obese. Walking can also help students show up at class alert and ready to learn. A number of schools in communities across the state have already registered their Walk to School event and it's not too late to plan one in your area. Join the fun and take steps toward a healthier future! Anyone who has ever remodeled a home knows that the process requires a lot of time, extreme patience and advanced planning. Adding an extra room or two can mean shifting of furniture, plumbing or moving windows and doors. Cooking a meal without a kitchen sink, stove or counter tops takes some creativity. That is very similar to what is happening in Tacoma, where contractor crews are adding HOV lanes, building new bridges, and remodeling the lanes and ramps to Interstate 5. Maneuvering around the ramp closures requires patience, creativity and planning ahead. The good news is huge progress is being made. This summer, we moved traffic on to the new northbound I-5 bridge that spans I-705 and State Route 7 in Tacoma. Crews also temporarily split southbound I-5 into two roadways. This effort created workspace for crews to rebuild southbound I-5 and the associated ramps. Left: Crews are now advancing work on Pier 2 of the new McKinley Street overpass. Right: Crews are grooving the deck of the new northbound I-5 Puyallup River Bridge to allow storm water to efficiently drain. This September, crews successfully re-aligned the southbound I-5 ramp to East 26th Street and the I-705 ramp to southbound I-5. We also closed the southbound I-5 ramp to SR 7 to build permanent retention ponds, install drainage and electrical components, and to rebuild the ramp to match the new alignment of I-5. This closure also gives crews workzone access to begin drilling the shafts for Pier 2 on the new McKinley Street overpass. This is the final long-term ramp closure for this particular project, and it will be in place through fall of 2017. During the closure, drivers who use the SR 7 ramp will be detoured using northbound I-705, the SR 509 interchange and southbound I-705. Two ramps – the A Street on-ramp to I-705 and the SR 7 ramp to southbound I-5 – are expected to re-open to traffic this fall. Both ramps closed early in the project due to temporary configurations of adjacent ramps leading to southbound I-5. A new phase of construction will move ramp traffic on to the brand-spanking-new northbound I-5 Puyallup River Bridge in October 2017, weather permitting. The new 1,569 foot-long bridge, built to current seismic standards, is straighter than the existing I-5 Puyallup River bridges. Crews also rebuilt and realigned the northbound I-5 ramps for 28th Street and SR 167. 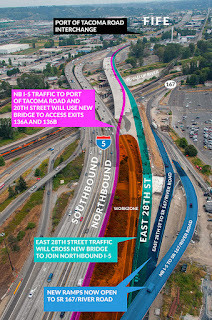 As early as the weekend of Oct. 13, a new 28th Street ramp to northbound I-5 will open to traffic. Drivers who use this new ramp will cross the new northbound I-5 Puyallup River Bridge prior to merging with mainline I-5 traffic. In addition, northbound I-5 drivers heading to the Port of Tacoma Road (exit #136B) and East 20th Street (exit #136A) will exit mainline I-5 south of the river and over the new Puyallup River Bridge to reach the interchange. Drivers will need to exit approximately a half mile south of the current exit. Crews will implement this change over the same weekend. Once the ramp traffic is on the new bridge, crews will begin building lanes to match the new alignment of northbound I-5 leading up to the new bridge. If weather cooperates, all northbound I-5 traffic could be using the new bridge as soon as spring 2018. For many commuters driving on I-5 through endless construction, it is hard to see the progress crews are making. Here is an important fact to consider: before the end of the year, crews on three projects covering seven miles of I-5 through Tacoma will have finished building THREE new northbound I-5 bridges. The third bridge that is rapidly nearing completion is located at the interchange of SR 16 and I-5. Crews building direct-connect HOV lanes between the two highways are on schedule to move northbound I-5 traffic on to its new alignment and over a new bridge that spans the eastbound SR 16 ramp by Nov. 15. Left: Progress is being made on the new northbound I-5 bridge near SR 16. The bridge is expected to open to traffic by Nov. 15. Right: The ramp approach to the new northbound I-5 bridge spanning the Puyallup River is being built. The new bridge is 1,569 feet long and the deck is comprised of 6,788 cubic yards of concrete. Traffic will be shifted onto the bridge this fall. After three years of announcing temporary ramp or lane closures, it is a great feeling to announce to drivers the opening of ramps, lanes and bridges. It is a sign that our three active HOV projects are moving towards completion. Before you break out into a happy dance, there is still one more funded HOV project to go. Construction on the I-5 – Portland Avenue to Port of Tacoma Road – Southbound HOV project is expected to begin in 2018. The project will build a new southbound I-5 bridge across the Puyallup River. The construction schedule and staging for this project will determine when the HOV lanes will open to traffic. The Tacoma/Pierce County HOV program is a $1.6 billion investment that spanned 17 projects over 20 years. We are down to the final four projects. As always, we appreciate your patience while we remodel I-5 in Tacoma to help ease congestion. To stay on top of weekly overnight ramp and lane closures, please visit www.TacomaTraffic.com. When the Washington State Department of Transportation was created in 1977, dancers still shimmied across disco floors, "The Love Boat" was just starting to sail into people's televisions and the original "Star Wars" movie was still in theaters. Gas cost 65 cents a gallon, the average new home cost less than $50,000 and Atari had just introduced the first popular home video game console. Much has happened in the past four decades – bell bottoms even had time for a (thankfully brief) return – but the agency's mission remains much the same: Keeping people and goods moving across the state. Left: final paving of the I-90 bypass in North Bend in July 1978. Of course, there were state highways long before the age of 8-Tracks and pet rocks. The first official state agency to develop roads was created in 1905, later morphing into the state Department of Highways and adding ferries in 1951. Want to know more about our history? Our department library has digitized many records and documents, some as far back as 1905, with more being added all the time. 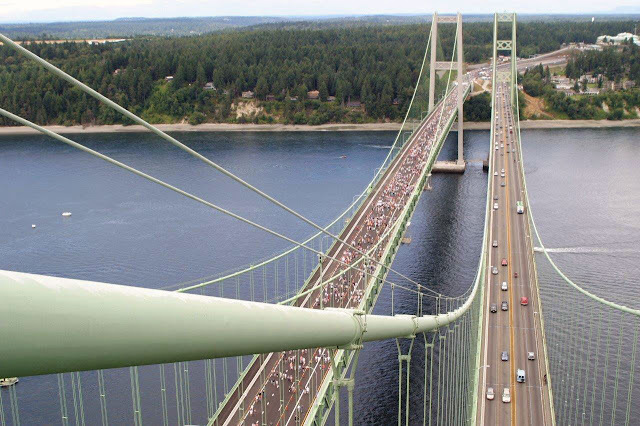 When we opened the new Tacoma Narrows Bridge in 2007, 60,000 people walked across the span to celebrate. In 1977, lawmakers voted to "create a unified department of transportation." Gov. Dixy Lee Ray signed the legislation into law on June 2, 1977, and the agency officially began Sept. 21, 1977, with the first meeting of the newly organized State Transportation Commission. (Initially the commission hired the Secretary of Transportation, though now the governor appoints the head of the agency). In addition to highways and ferries, the new agency now oversaw the Aeronautics Commission, the Toll Bridge Authority and the Canal Commission, as well as some functions of other agencies. This allowed for better overall state transportation planning, and made it easier for the state to apply for national funding and implement national transportation policy. Agency leaders also said the one-stop location for transportation issues also would allow for more public comment and involvement. 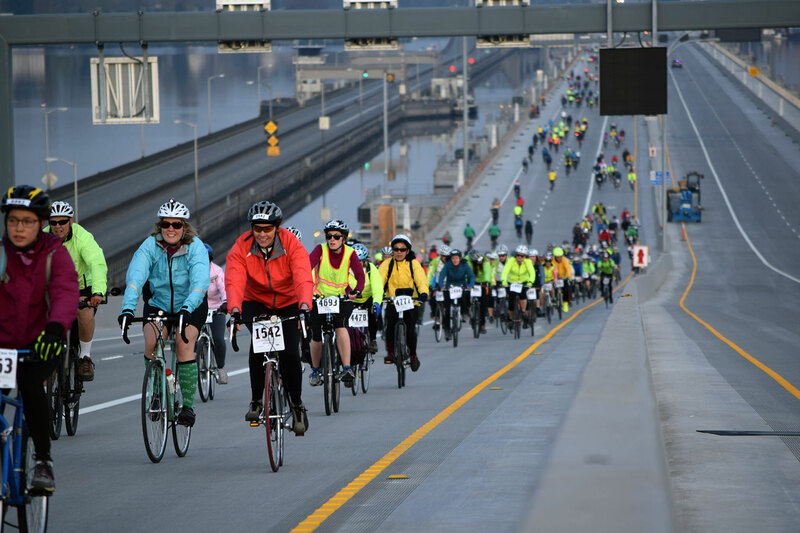 Almost 7,000 cyclists helped celebrate the April 2016 opening of the SR 520 bridge in Seattle. Completed the Washington portion of Interstate 90 and half of the North Spokane Corridor. Rebuilt the Spirit Lake Memorial Highway (State Route 504) after the 1980 eruption of Mount St. Helens destroyed dozens of roads and bridges. Launched state-funded Amtrak Cascades passenger train service. Inspected and repaired numerous roads and bridges after the 2001 Nisqually quake, leading to the project to replace the Alaskan Way Viaduct with a tunnel. Opened the Hood Canal, Glenn Jackson (I-205), I-182, Intercity, Foss Waterway, new Tacoma Narrows and new 520 bridges. Added sensors and traffic cameras to roadways and computerized traffic management systems to better track real-time traffic conditions. Purchased new, larger vessels for the Washington State Ferries system, the largest ferry system in the country. Launched the Commute Trip Reduction program to ease congestion, improve air quality and reduce oil consumption by promoting alternatives to driving alone to work. Placed a temporary bridge on I-5 over the Skagit River just 27 days after a vehicle strike knocked a portion of the structure into the river. Started the agency's first social media account, growing to what is now the largest following of any state DOT in the nation. Worked with local and state agencies to rebuild a road – and help a community recover – in Oso after a massive landslide buried homes and State Route 530, killing 43 people. Created the Active Transportation Division to further integrate active transportation modes into our agency and assist others in doing the same. The Chimacum is the latest of our ferries to set sail and is the third of four Olympic Class ferries to join our fleet. No longer focused on just highways, our agency's multimodal focus includes people who walk, bike, take transit, ride a ferry or rideshare. That includes considering the range of travel modes when planning projects, embracing new technology and reorganizing our management structure to better integrate all travel modes into decisions. (It's also a nod to our history: the 1905 Road Laws of the State of Washington allowed for dedicated bicycle and pedestrian lanes on all public highways). 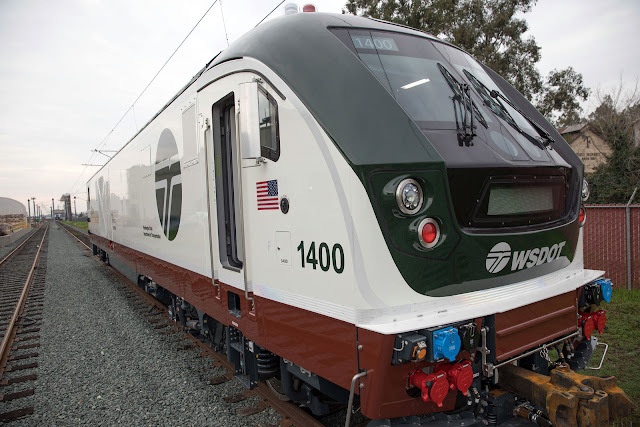 Oregon - will soon have these new locomotives on the rails. As we embark on our next 40 years, our agency's name guides us more than ever: We serve all travelers in the state, no matter how they make their way through the world. Or, to paraphrase Fleetwood Mac in "Don't Stop," one of 1977's most popular songs: We won't "stop thinking about tomorrow." Because of some technical issues earlier in the week, we’re extending this contest through the weekend. Entries are now due by 7 a.m. Monday, Sept. 25. 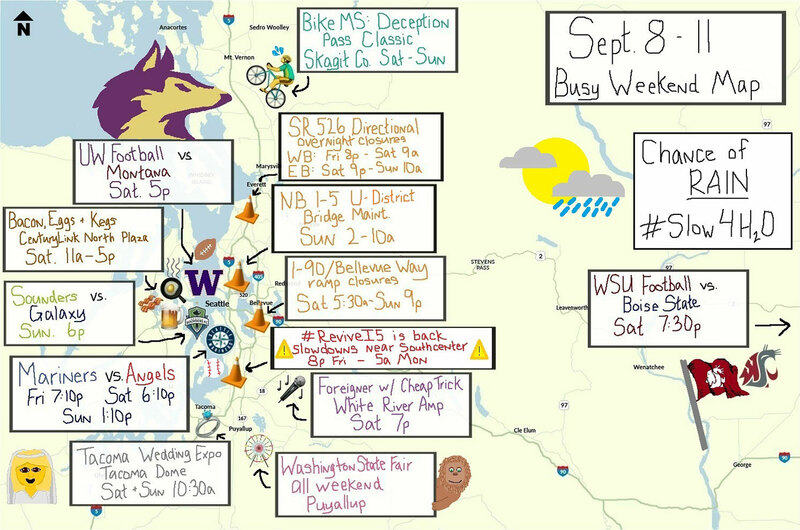 By now most of you have seen our busy weekend maps featuring some pretty impressive Microsoft Paint drawings. We use these maps as a creative way to help paint a picture of what travelers can expect over the weekend, including special events and road closures. The maps, which we’ve used regularly since the start of summer, have proven to be one of our most popular pieces of content. Now we want to see what you can do. We’re holding our first Busy Weekend Map MS Paint contest! Show us your skills in balancing information with art and you could find your submission posted on our various social media platforms, which are followed by about a million people! Our busy weekend MS Paint maps have been very popular, and we want to see what you can come up with. Use the base map below as your starting point. Then take a look at the various special events and road closures below. 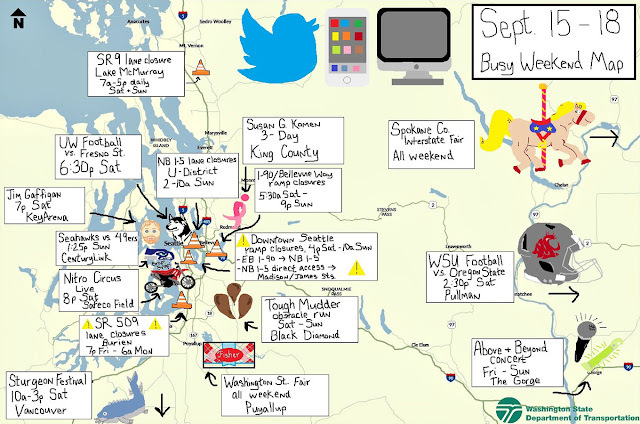 Using MS Paint (to ensure a level playing field other programs can’t be substituted), produce a map that shows what special events are happening, and what construction work is going on. It’s up to you to decide which events and closures to use and how you’ll present them. Can you squeeze them all onto the map? Do you have to be selective? Are your art skills up to creating certain items? Remember, the primary purpose of the map is to provide information about where people may encounter traffic delays, so keep that in mind while you’re drawing a WSU football helmet or a picture of Don Henley. Oh, and WSDOT employees and their family are not eligible. Submissions will be accepted until 7 a.m. Friday, Sept. 22, and can be sent to allendm@wsdot.wa.gov. Please include your name and where you live. We will select the 10 finalists and open it up to voting on our Facebook, Instagram and Flickr pages. Comment on which picture you like best, or give it a “like,” to vote. Voting will continue until noon on Tuesday, Sept. 26 and we will announce the winner via a Facebook Live broadcast on Wednesday. The winner will have their work shown on our various Twitter accounts as well as Facebook and Instagram. #ReviveI5. Northbound I-5 reduced to two lanes between the I-405/SR 518 interchange and the Duwamish River Bridge from 8 p.m. Friday to 5 a.m. Monday. Southbound I-5 Ship Canal Bridge maintenance (Seattle). Two left lanes between NE 50th St. and Boylston Ave. closed 2-10 a.m. Saturday. Two right lanes between NE 50th St. and Boylston Ave. closed from 2-10 a.m. Sunday. The NE 45th St. on-ramp to southbound I-5 closed 2-10 a.m. Sunday. I-90 Bellevue ramps. The I-90 on- and off-ramps at Bellevue Way will be closed from 5:30 a.m. Saturday to 9 p.m. Sunday. SR 410 closed due to fire activity west of Chinook Pass between mileposts 65 (SR 123 junction) and milepost 88 (Bumping River Road). Ongoing construction work on I-90 between North Bend and Ellensburg. OK, you’ve got your map, your information and a helpful video from our resident expert. The ball is in your court. Send us your submissions by 7 a.m. Sept. 22 and let your creativity and information sharing shine! This year, you might have noticed maps like this pop up on our social media platforms. Our busy weekend traffic maps are one of the most popular ways we spread the word about major road work and special events happening on the weekends. Mixed with the right amount of colors, fun emojis, and sub-par-at-best Microsoft Paint artwork, they have become the talk of social media this summer. Every week people ask, "How do you make those maps?" or "How did you draw that (whatever doodle) that looks like something a 5-year-old drew?" Well, you're in luck, because in this week's Busy Traffic Weekend video, we are pulling back the curtain to reveal how we put together these popular maps. There are a few other things going on that we couldn't fit in the video or map. Clearly, there is lots of stuff happening this weekend. No matter which side of the mountains you are traveling to this weekend, PLAN AHEAD! We have several resources that help you know what is happening on the roads before you leave the house. We'll be posting closures and updates on those three platforms throughout the weekend to help you #KnowBeforeYouGo. As our workforce ages and Baby Boomers continue to retire in droves, the transportation industry is struggling to fill positions with qualified, skilled tradespeople. These traditional “blue collar” jobs – including carpenters, welders, electricians, ironworkers, and masons – rank among top high-demand jobs that are hardest to fill. So how do we resolve these two needs? Enter a new program, Pre-Apprenticeship Support Services (or PASS for short), that brings together the state, highway construction industry and community services to give disadvantaged individuals in pre-apprenticeship programs the support they need to succeed. Authorized through the Connecting Washington transportation funding package, the PASS program is already showing great success in its startup phase. 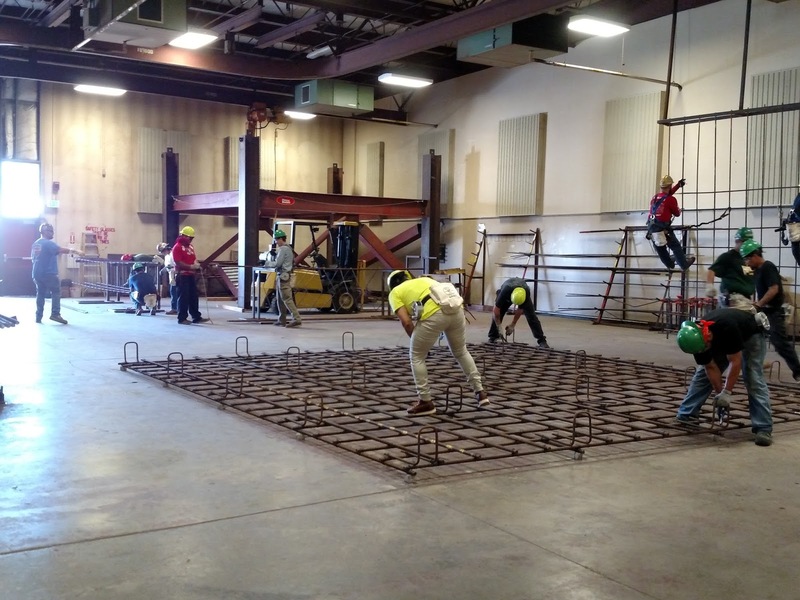 In the past year, the PASS program has sponsored two training classes conducted by the Ironworkers Union, Local 86, in Tukwila. As part of the PASS program agreement, the union provides training through its certified apprenticeship program as well as job placement assistance for those who graduate. For the 28 individuals who completed the four-week training, 25 are now employed as ironworker apprentices, earning wages up to $25 per hour. They also have the potential for regular wage increases as they gain experience. These are people who were previously dependent on social programs; working multiple, low wage jobs; or unemployed. become the next generation of skilled trades workers. While in the training program, community-support-services providers were there to help trainees by removing barriers that might have otherwise caused them to fail. For one person, it was getting funds to pay for driver’s training so they could get a license; for another, a gas card to help get them to and from training. Other PASS trainees received housing assistance that allowed them to cut back on their work schedule so they could attend training, and many trainees were provided required safety equipment in order to work. Using this model, we’re expanding the PASS program in next phase and offering training classes for carpenters and cement masons, in addition to ironworkers. As of August 2017, the state invested approximately $83,000, and in return the graduated ironworkers have earned total wages of $537,800. That’s money that supports their family, helps support their local economy and has reduced or eliminated their dependence on public assistance – a true win-win for Washington. The dog days of summer may be winding down but we still have lots of road work and special events that will impact your weekend travels. To get you prepared for what's ahead, we called on actual dogs – and a couple kittens – from Seattle Humane to help us out in this week's Busy Traffic Weekend video. #ReviveI5 is back with more lane closures, and if past weekends are any indication, it will create traffic impacts for a lot of Western Washington travelers. It's a full sports weekend in Seattle with Mariners, Sounders and Husky football. Expect to see a lot of Cougs on I-90 as they make their way to Pullman for WSU's big game against Boise State. Once again, the best way to get through this weekend of traffic is to PLAN AHEAD! We have several resources that help you know what is happening on the roads before you leave the house.